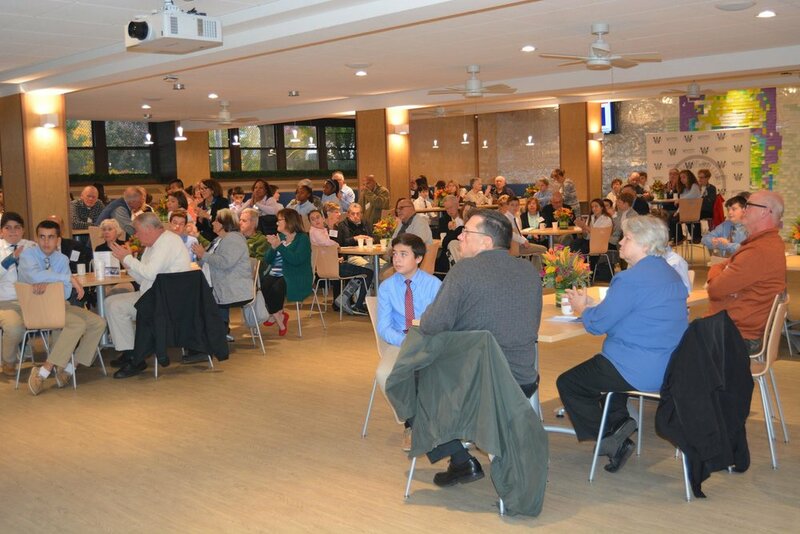 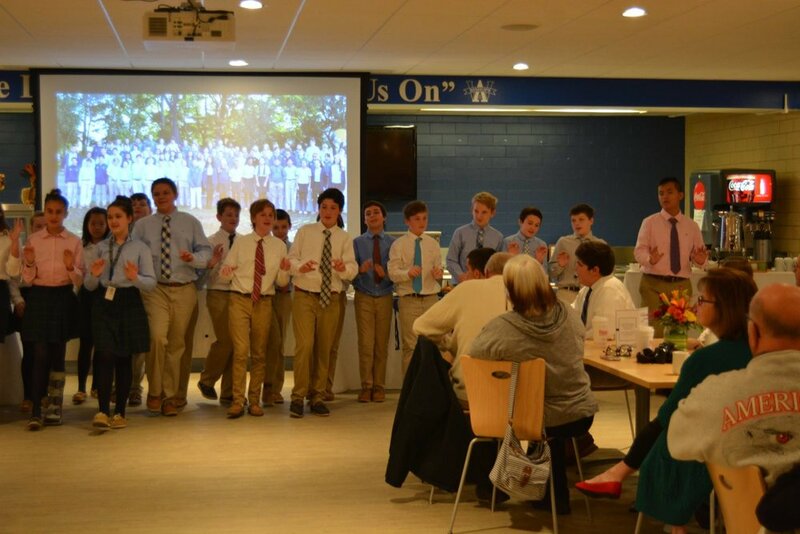 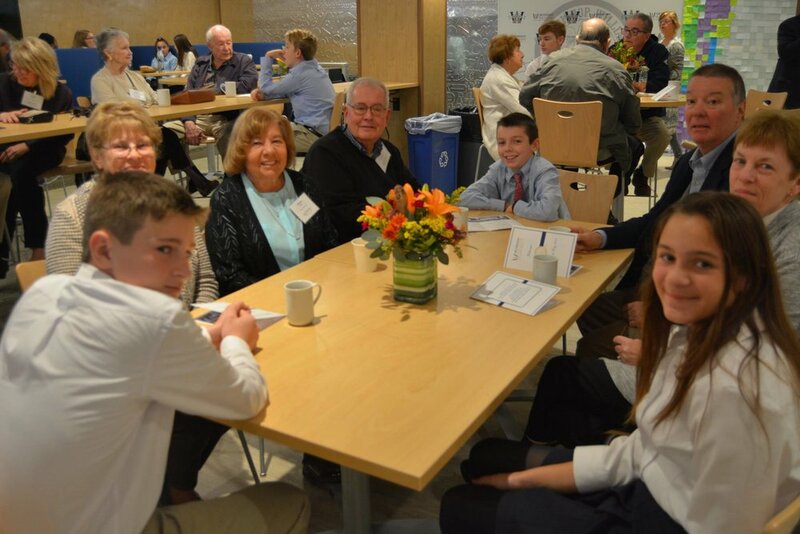 It was the first “Grandparents Day” at Archbishop Williams High School and with all the smiles, hugs and tangible love that filled the cafeteria it will certainly be not the last. 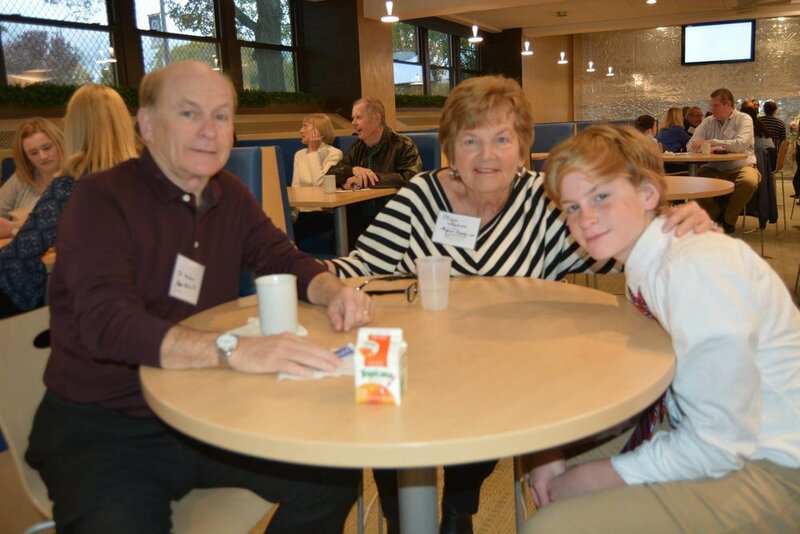 The Stephen McGrath Student Center never looked as festive as the 7th and 8th graders greeted their grandparents and found a seat for them all to enjoy the morning’s program and breakfast. 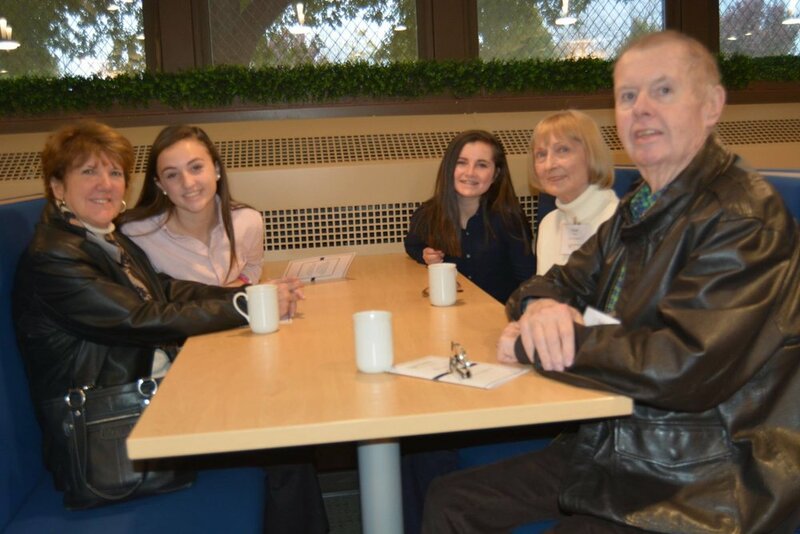 Mary Ellen Flanders McCarthy, Class of 1965, with husband Michael, was happy to return to her alma mater and celebrate that special relationship of grandparent and grandchild while also celebrating her granddaughter, Jessica Gavin, ’23, who “loves it all. 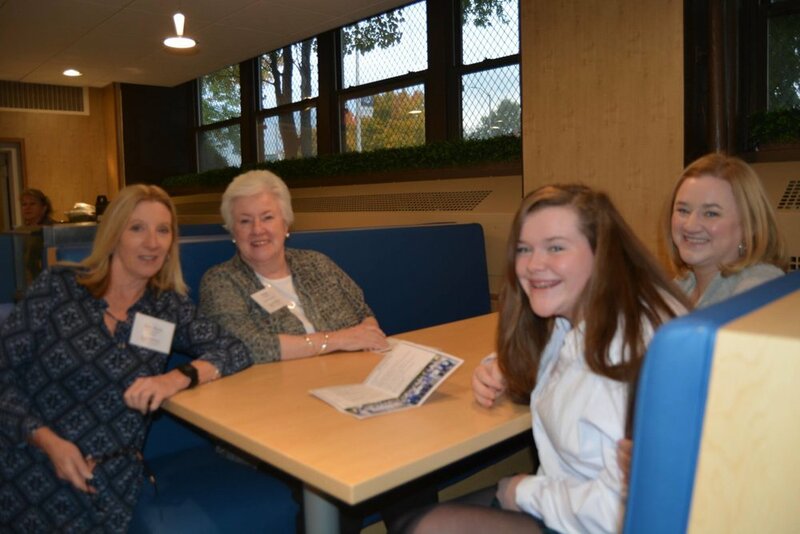 She’s a” fully fledged Bishop”, much to Mary Ellen and Michael’s delight, and they are excited for Jessica to “start her own legacy”. 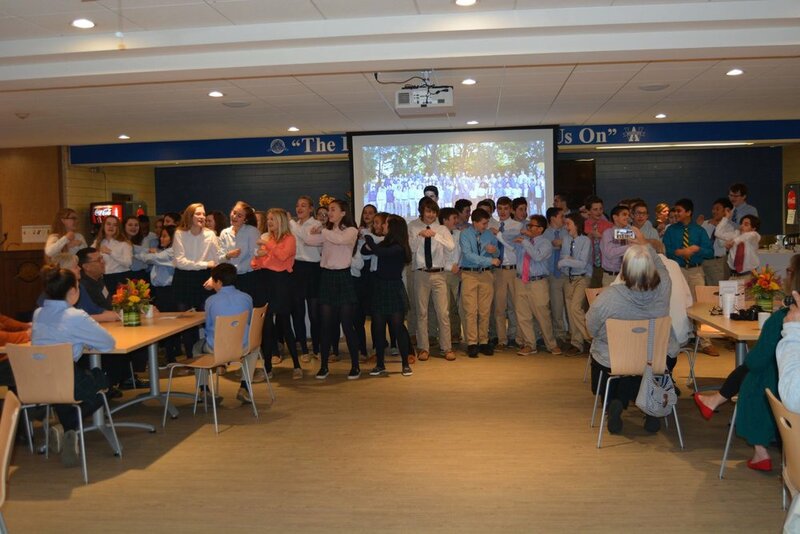 Students entertained their grandparents with songs, a class video and AWHS picture taking. 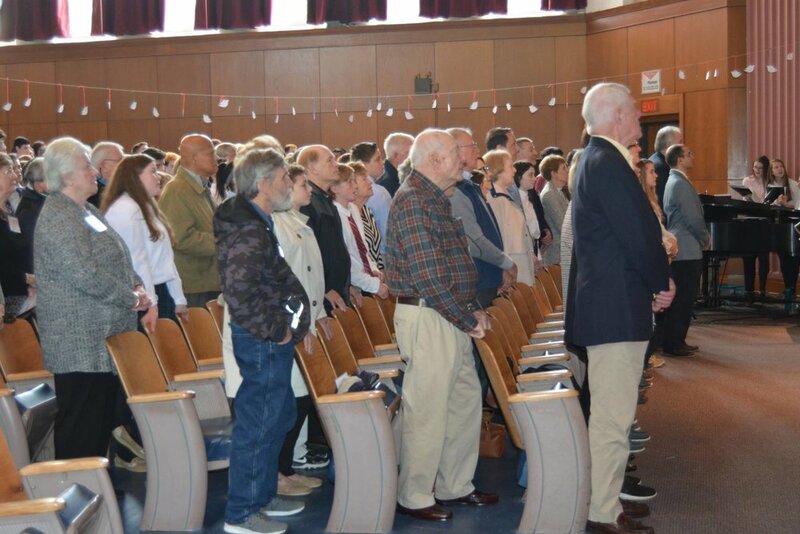 As always, prayer is part of any AWHS celebration and the day’s program ended with the All Saints Day liturgy. 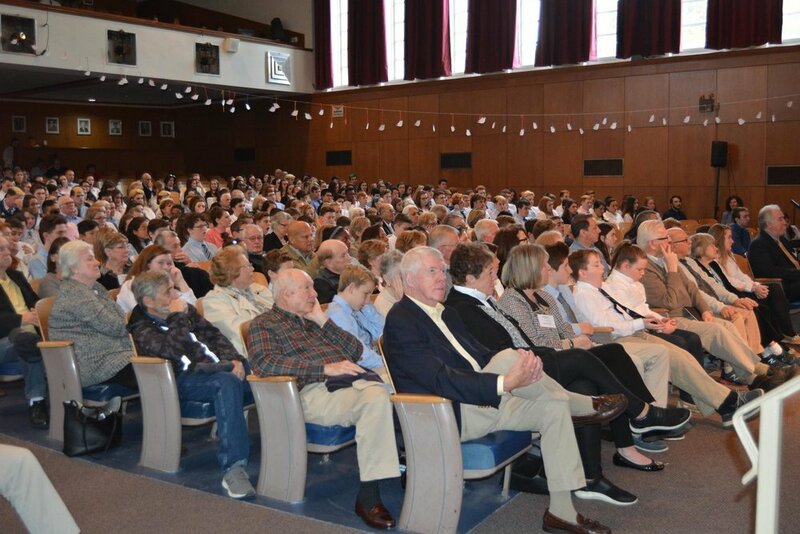 As the kids said good-bye to their grandparents and the “have a good day” was delivered with a hug, everyone in attendance knew that this day would be remembered as a good and special day.